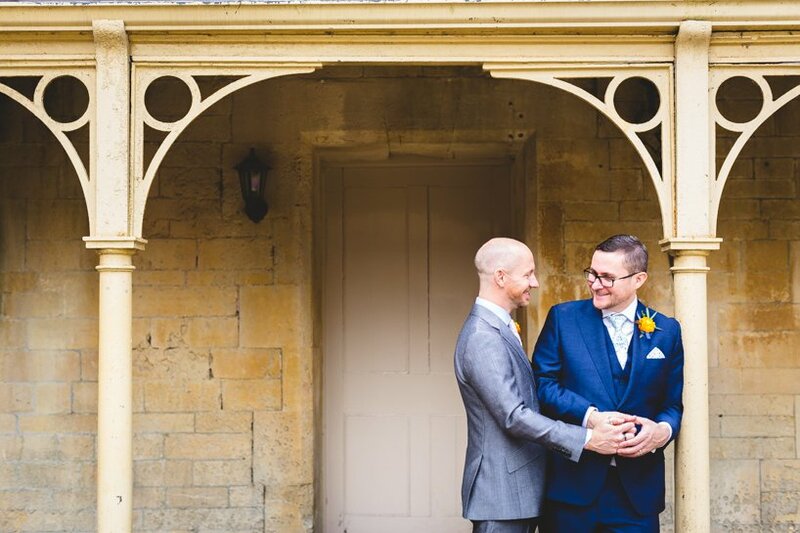 Dermot and Peter’s Orchardleigh House Wedding was pretty amazing and I’ve been kicking myself for not posting previews earlier. Arriving that morning to see the largest balloons in the world – I could have easily got inside one (and I’m not little!) 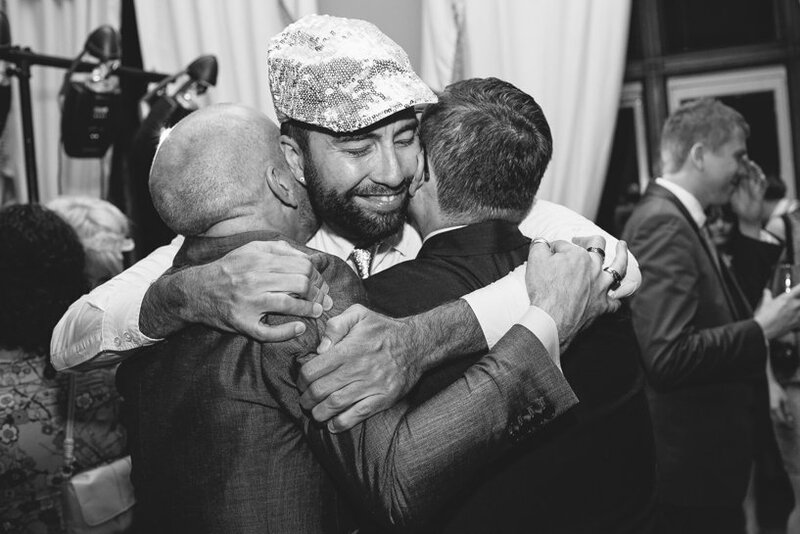 – ribbons and multi coloured streamers cascading down the stairwell, along with some extremely dapper looking stone eagles outside complete with Bowties, was enough to put a smile on the face of the very grumpiest of souls. My approach to wedding photography is entirely about the people and their reactions to the events and emotions of the day. And it wasn’t short of either events or emotions. 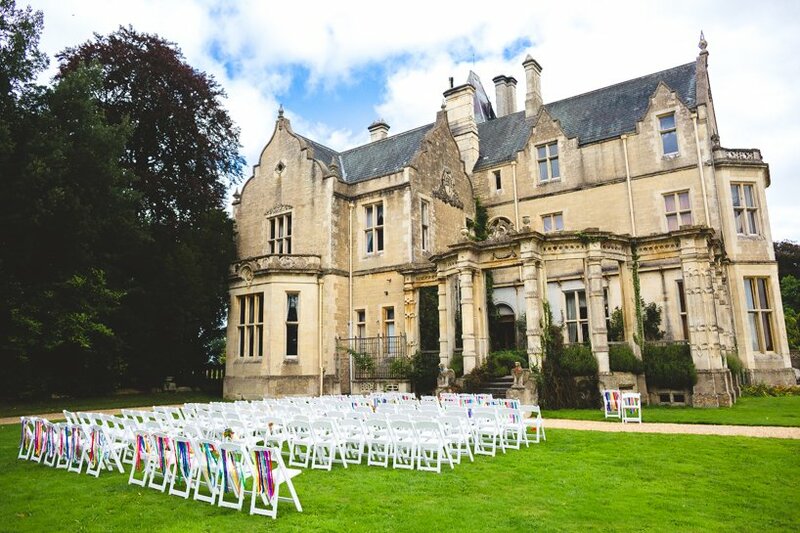 The humanist ceremony nearly had me in tears and the unveiling of the colossal fairground waltzer in front of the house that evening was absolutely priceless. 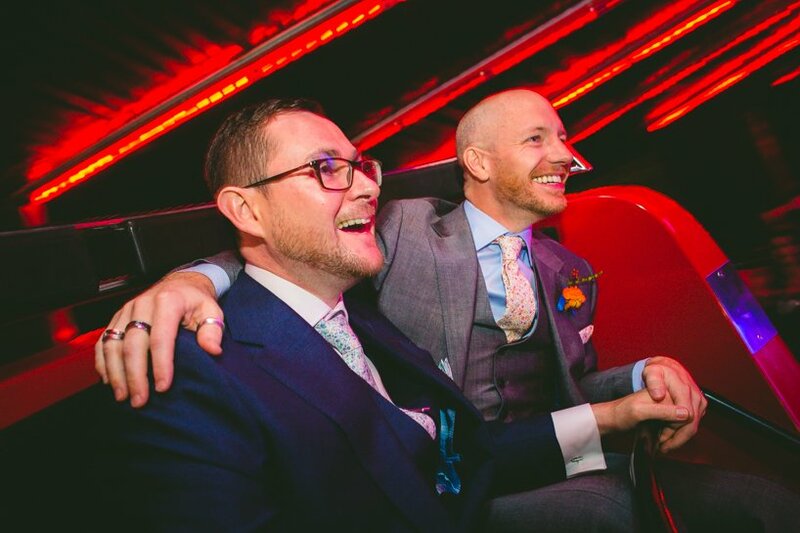 Dermot and Peter had put so much time, effort and love into making this day come together and it couldn’t have gone better. AWESOME. Can’t wait to see the full set from this one. A waltzer at a wedding? Genius. These look great! 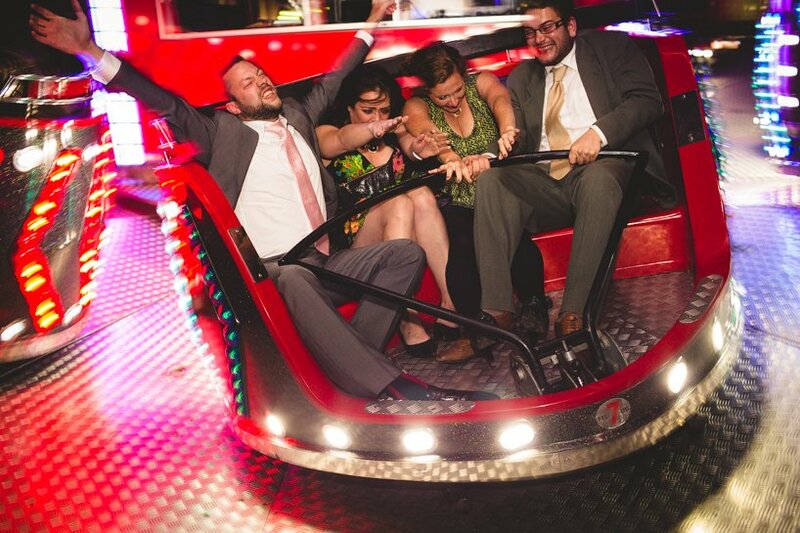 Got to agree with Matt…Waltzer weddings are where it’s at judging by these shots. Look forward to seeing the rest.